Soloists Sarah Fox, Miranda Westcott, Peter Auty and Jamie Hall with Iain Farrington(piano) and Rebecca Taylor(organ). Tickets are £20 reserved, or £16 unreserved (full-time students £10 and £8). 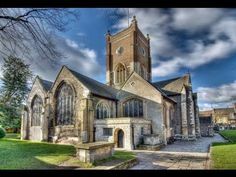 They can be ordered by sending an email to tickets@twickenhamchoral.org.uk, and there is an earlybird discount for tickets bought by 12th November: top-price reserved tickets are £18.